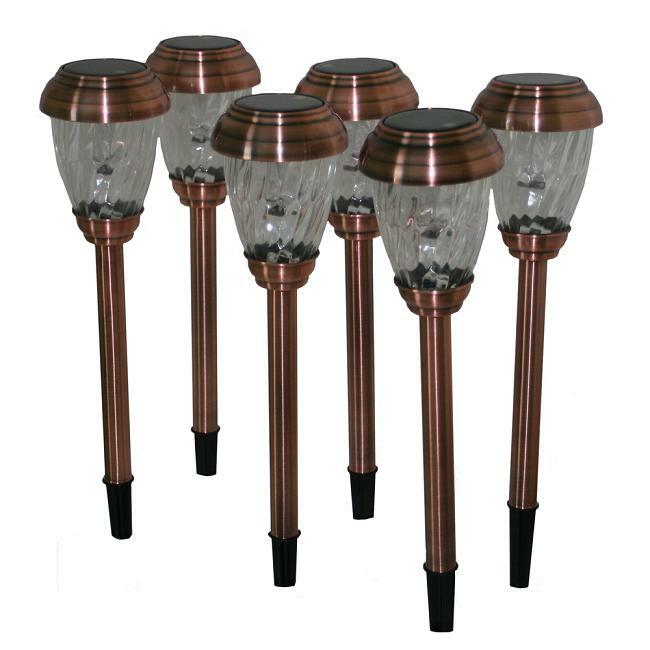 These 6 Charleston Solar Pathway Lights with a heritage copper finish are ideal for pathways, driveways and gardens. 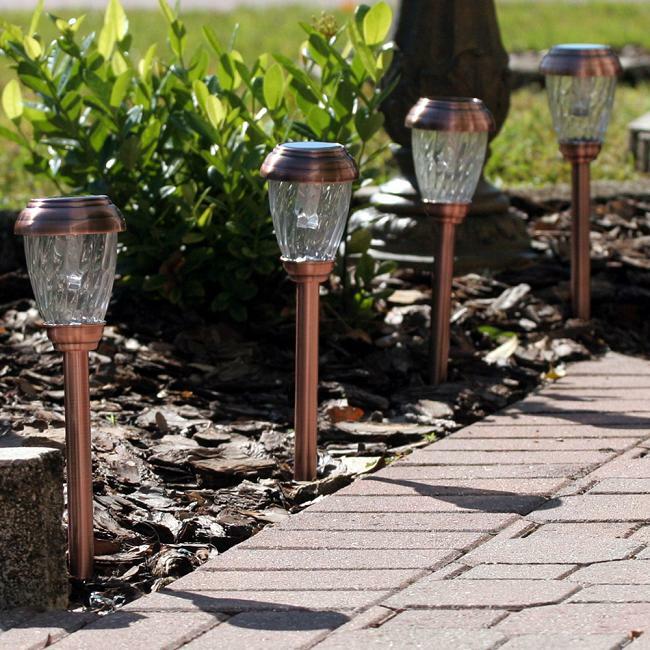 These solar pathway lights are made of stainless steel, with an electroplated copper finish including a real glass shade. 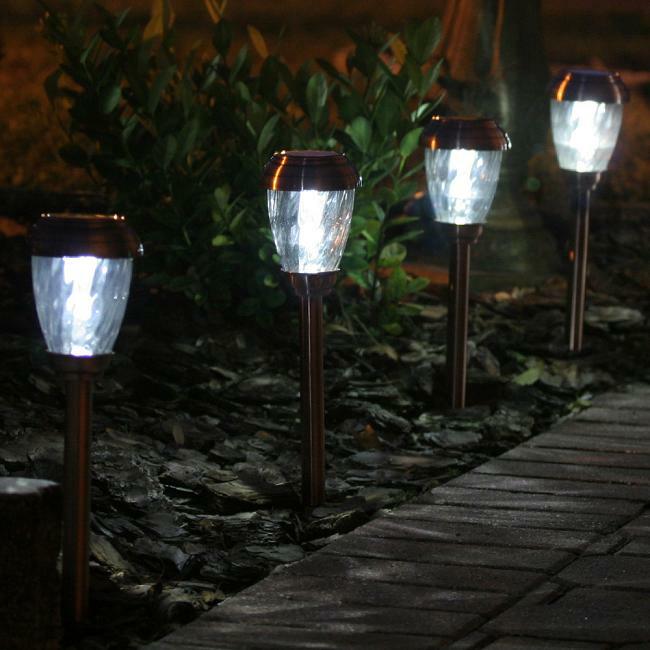 During the day, the solar lights will charge its internal battery by converting sunlight into electricity, and during the night, it will provide a admirable and luminous glow that will add a charm to your driveway, patio, or flowerbed.